This article is 1928 days old. Seven local high schools have received a total of $35,000 from the Chrysler Foundation to support their FIRST Robotics teams. They are the only Ontario teams to share in $229,000 the Chrysler Foundation set aside for FIRST teams in North America this year and include Assumption H.S, Harrow District High School, Holy Names, Maranatha Christian Academy, Sandwich Secondary, Vincent Massey Secondary, Walkerville Collegiate. “Having Chrysler step up to support our regional FIRST Robotics teams is big news,” says Karen Behune Plunkett, President and CEO of WEtech Alliance, a regional innovation centre that has spearheaded the growth of FIRST Robotics in Windsor and Essex. “This is yet another example of industry collaborating with our schools to prepare our young people for success in today’s knowledge economy,” says Dr. Irek Kusmierczyk, Director of Robotics and Youth Programs working with local partners to lead FIRST Robotics in the region. “We have about ten Chrysler engineers and skilled workers mentoring our FIRST Robotics teams and we would like to triple that in the coming months from Chrysler and other local companies,” says Kusmierczyk. 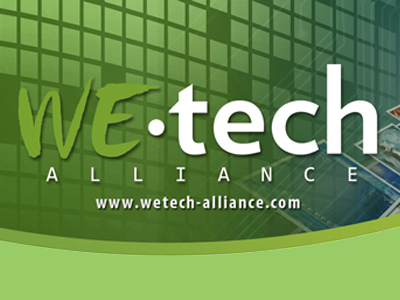 “Those interested in mentoring robotics teams should contact WEtech”. Last month ten area robotics teams shared in $70,000 from the Argosy Foundation established by the cofounder of Boston Scientific. The season kicked off on January 4th and the teams will have 6 weeks to design and build their robots, leading up to tournaments including the inaugural Windsor Essex Great Lakes Regional in Windsor in April 2014 at the University of Windsor. After the season is concluded, these seven teams will be invited to Chrysler Headquarters in Auburn Hills, Michigan to demonstrate their robot in front of engineers and executives.